Don’t you just love taking part in Secret Santa’s? 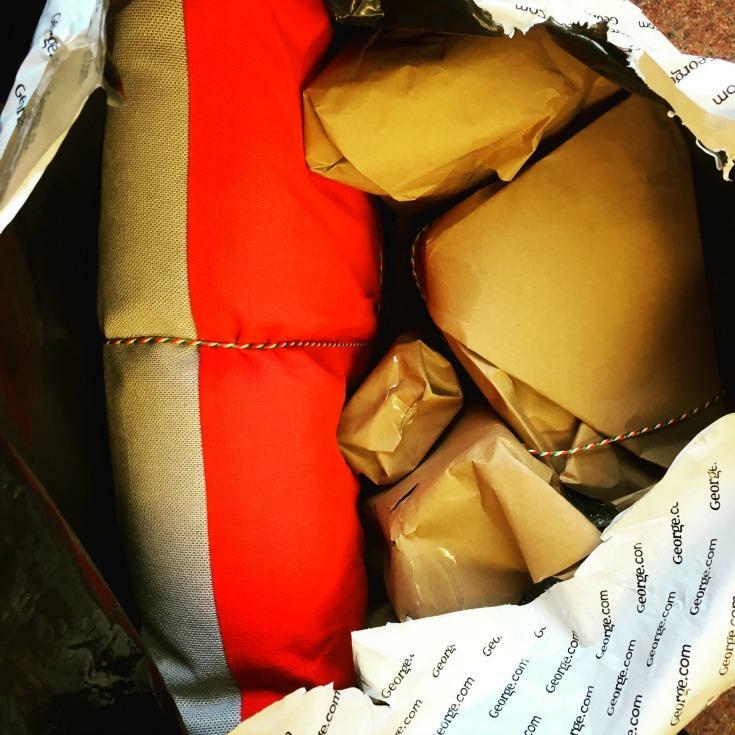 I do, so when the lovely people from Talented Talkers emailed me and asked if I would like to take part in a blogger secret santa, I jumped at the chance. I love picking and gifting Christmas presents for people and I couldn’t wait to find out who my mystery blogger would be and start picking gifts from the George Christmas Gift site. Not wanting to break the rules of Secret Santa, I still can’t tell you who I got, but I can share the gifts with you that I received from Santa. 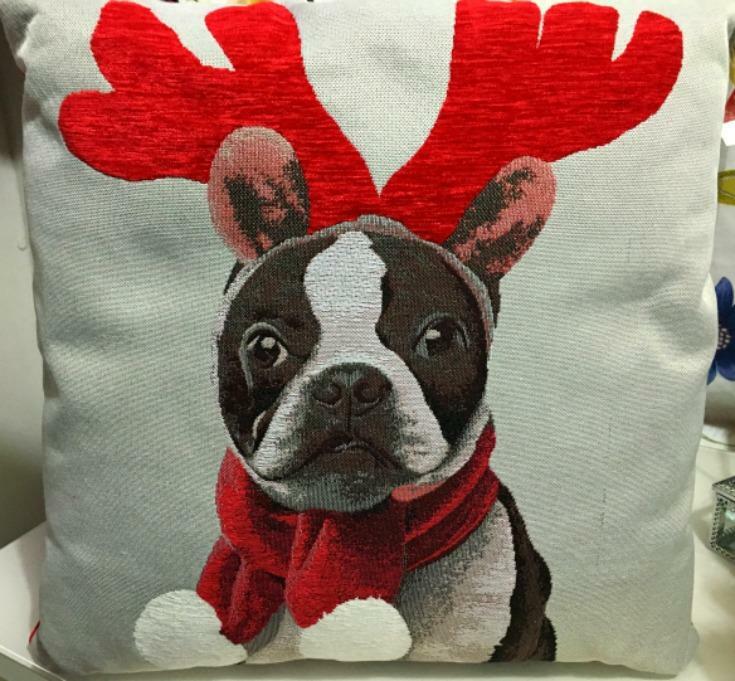 When I opened up my big parcel from George, the first thing that jumped out at me was this cute George Home Xmas Tapestry Dog Cushion. 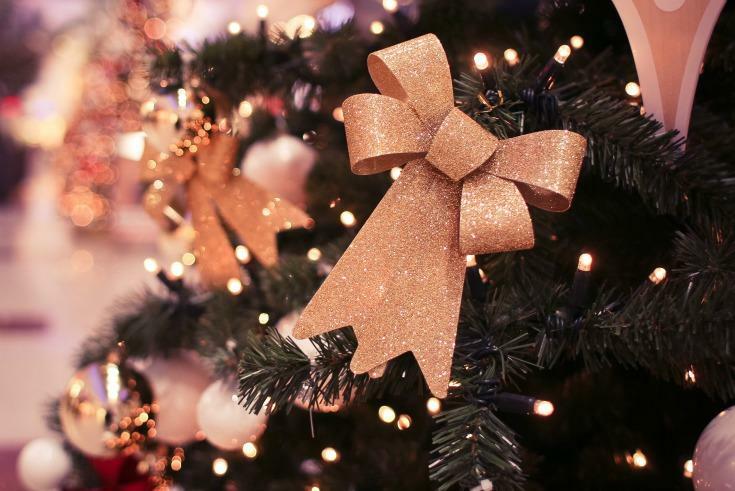 It’s lovely and festive – perfect for this time of year. It will go great on the sofa or on a bed. 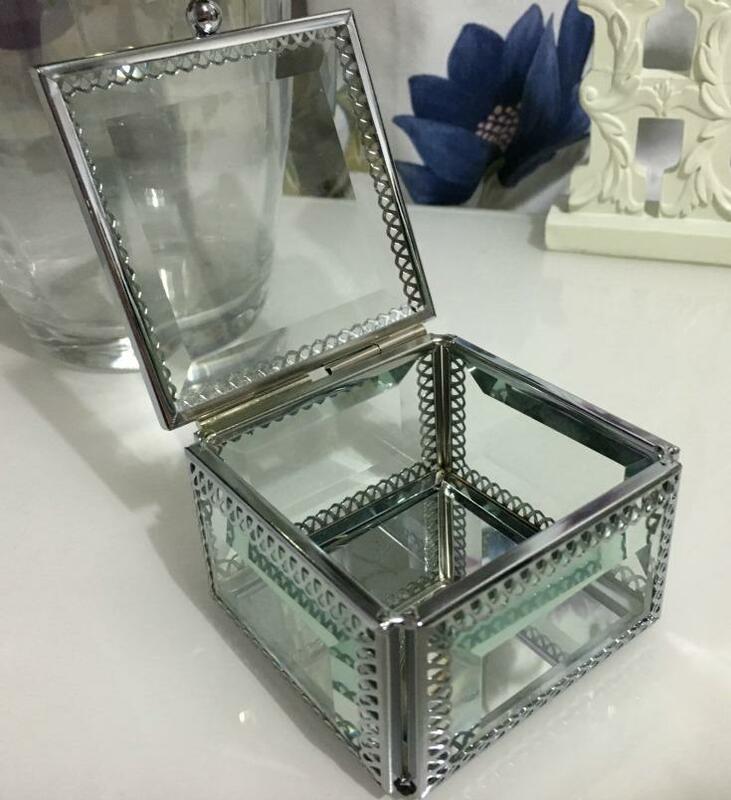 Another favourite gift I received, is this glass trinket box. Sadly I can’t find a link to share with you, but you might still be able to pick this up in your local George/Asda or have better luck than I did online. 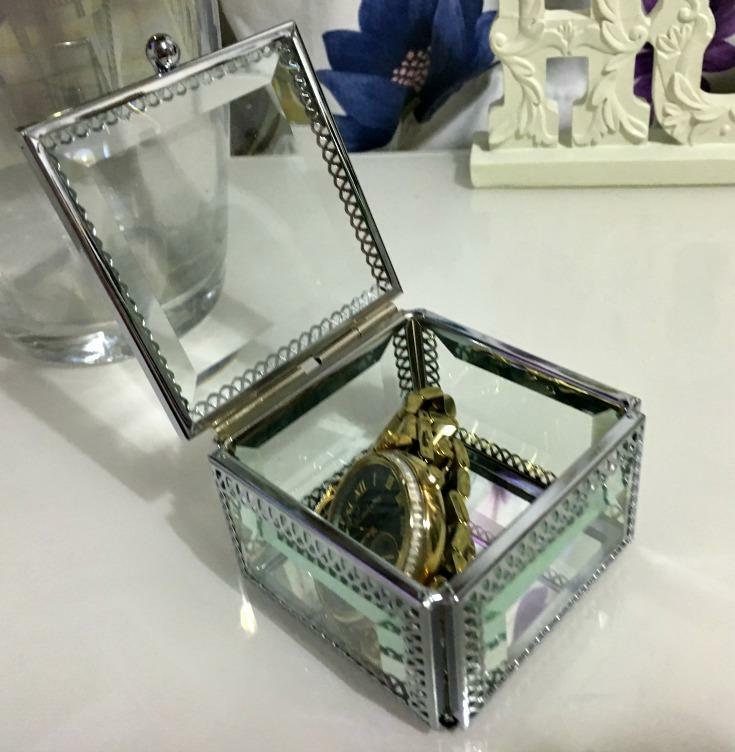 It looks lovely on my dresser and I use it to store my rings and watch. 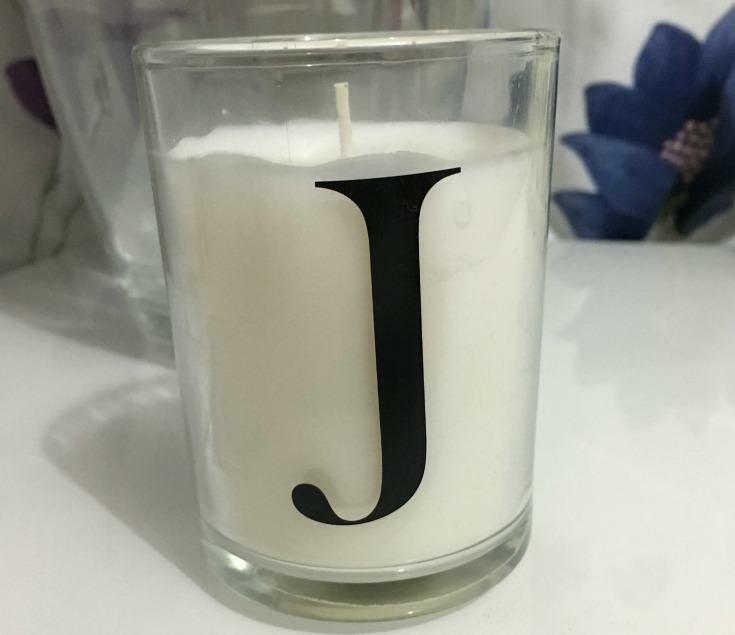 I wouldn’t be a proper blogger without a candle or two in my bedroom and my secret santa got me this cute little George Home Letter ‘J’ Votive Candle. I love how personal it is with the letter ‘J’ and I think this proved quite popular with everyone when it came to choosing gifts. As you can see, my secret santa got me quite a few gifts from the home range and I have no complaints. Another lovely gift is this George Home Floral Ornament, it looks great on my dresser and has started to creep into my blog background for photos. 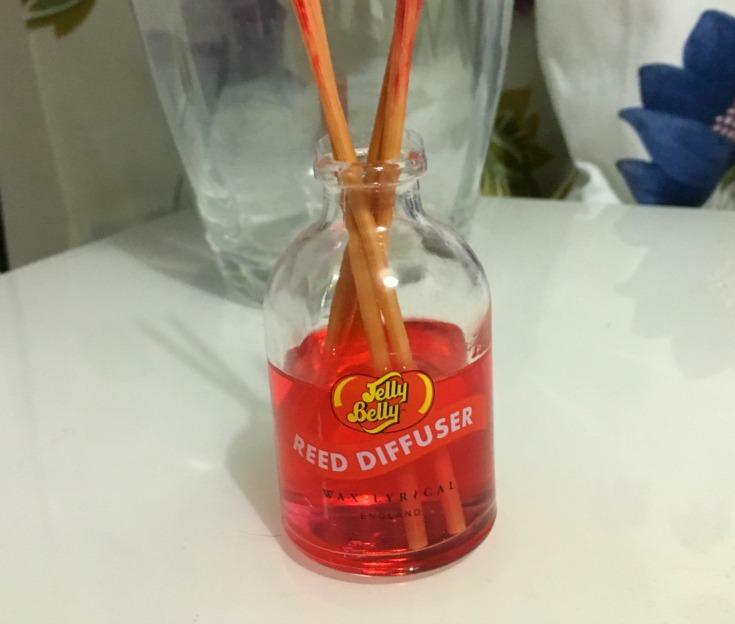 The last of the home gifts is this Jelly Belly Reed Diffuser (cherry). It smells so good and arrived at the perfect time, as my last one just ran out. This next gift has turned out to be a very handy gift indeed. 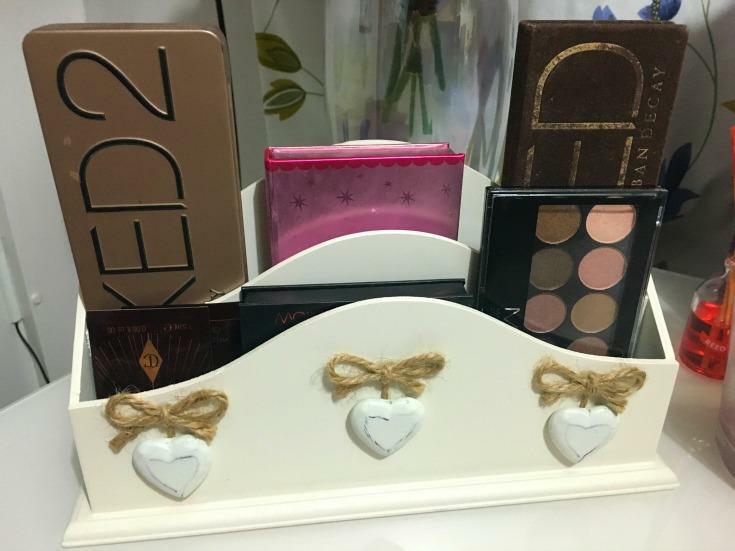 I appreciate that most people use letter racks to store letters, but I prefer to use mine for palette storage. 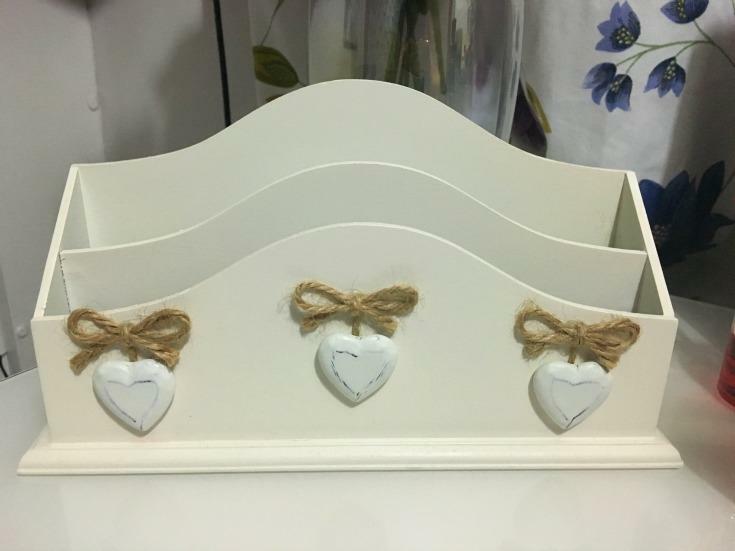 This George Home Cream Letter Rack goes great with the home sign and is the perfect storage solution for my most reached for palettes. I can’t believe how many things Santa got me and anything glittery will always go down well. 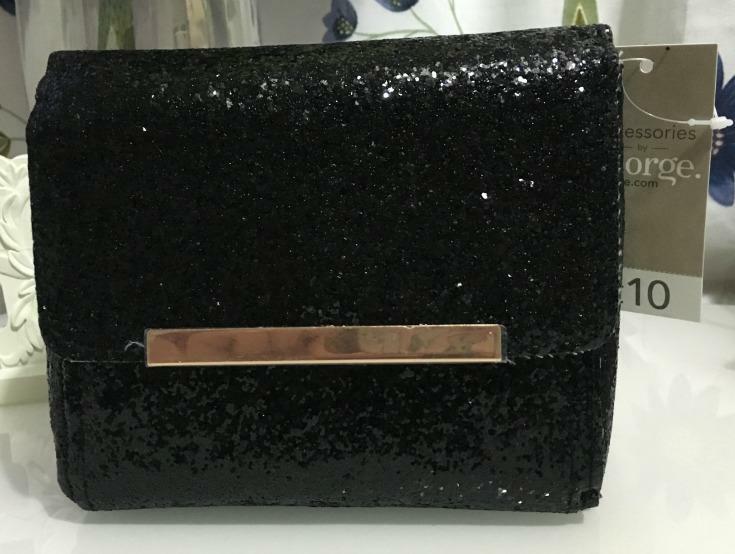 This Cross Body Glitter Box bag is perfect for the Christmas party season and nights out. 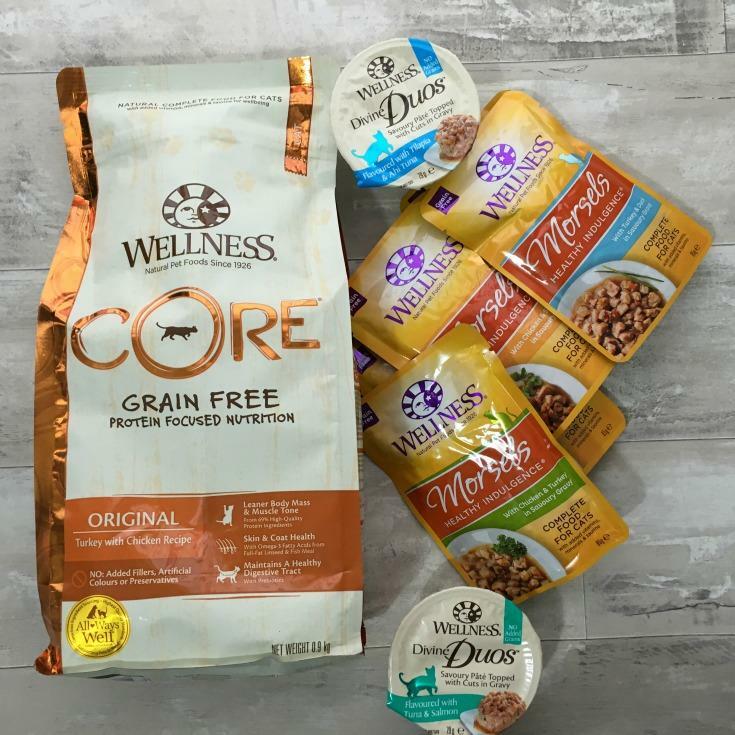 I hope that my blogger is enjoying the gifts I picked out as much as I am enjoying my own. George has a great selection of Christmas Gifts to suit any budget. 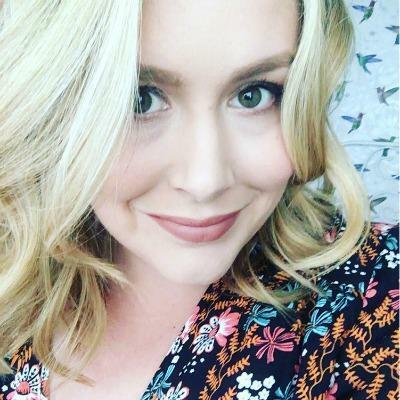 As you know, I’m a huge beauty product fan and the George beauty gifts do not disappoint. The George site also has some great gift guides if you are feeling stuck for ideas. Wow. You lucky lady! Your secret Santa did not disappoint at all. My favourite would have to be the candle too! I might have a look now!